Dolmen's work with Universal Design has beaten off competition from 320 other submissions to be awarded a Zero Project Award. Work that we completed with the NDA and the Centre for Excellence in Universal Design has been recognised by the Zero Project Awards. The formal announcement of the win happened at the UN in Vienna from the 10th to the 12th of February 2016. 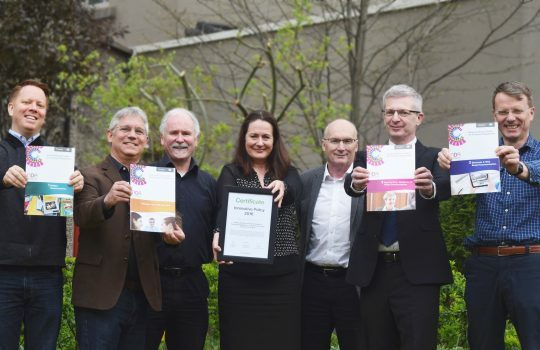 We did a body of work developing toolkits for the Energy and Tourism sectors in relation to Universal Design and the Tourism sector work has been recognised as best in class. We are delivering workshops around Ireland over the past year in the area of Tourism and have just recently rolled it out in the UK with Visit England. 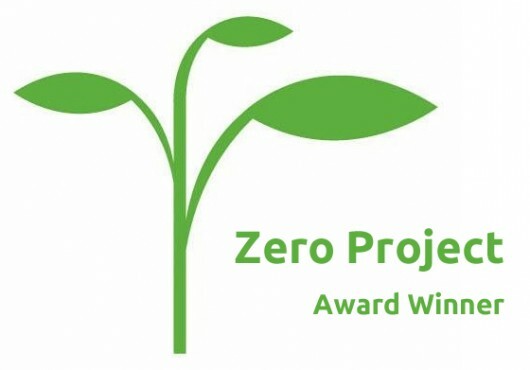 The Zero Project received 333 Innovative Policy nominations from 100 different countries around the world. Of these, the Zero Project expert network selected 12 policies that measurably advance the right of persons with disabilities to be included in education and/or access information , communication and technology. The Irish Standard I.S. 373:2013 on Universal Design for Customer Engagement in Tourism Services, 2013 was one of these shortlisted winning innovative policies. The toolkits we developed for the Energy and Tourism sectors are an easy to follow approach to ensuring Universal Design is integrated into all service touchpoints. The rollout of the tourism toolkit has been hugely successful to date and we look forward to the further development of our work in the area of the Energy Sector. The Ignition Racing team from Presentation College in Headford, Galway impressed us late last year with their pitch for partnership with Dolmen. "We are the Junior National Champions. This year we will be the World Champions!" - how could we turn away from such an exciting collaboration! 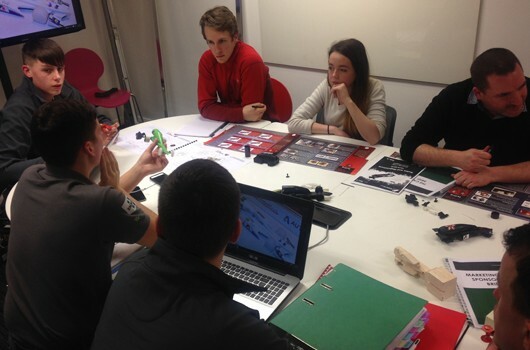 The 5th of January saw the first team meeting with Dolmen up in Dublin, where we discovered just how much work they have done to develop an excellent design for the upcoming regional competition. The team have strong business, engineering and design skills already, to the point that we will be very much merely collaborating in an advisory capacity. They are quite the clever bunch. We will be keeping you up to date with the progress of the team throughout the next few months and fingers crossed they will get to the World Championships in Texas! You can contact the team directly if you are interested in becoming a sponsor. From our point of view, we highly recommend it! 2015 was a very busy year for us here in Dolmen. We opened the year having won the IDI Awards Grand Prix for the wonderful Moocall, which then went on to win a Red Dot award as well as being shortlisted for Designs of the Year in the London Design Museum. We also won a Red Dot for the great Voyager ECK by Klas Telecom and an A' award for our design of the Cyclock system and branding. Internationally speaking we have been all over the world in 2015, visiting new clients, building new professional relationships and opening new markets for growth. 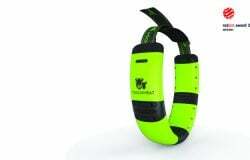 This has involved attending international trade fairs, conferences, targeted networking events and receptions. Thanks to all our funding supporters who have facilitated access to all of these events. 2015 was the Year of Irish Design and we participated in a number of ways, where products we designed were showcased in the Liminal exhibition in Milan, New York, Eindhoven and Dublin as well as in touring exhibitions that travelled all over the world. Most importantly for us here in Dolmen, we developed and ran the 'Irish Design + Medical Technology' exhibition, which showcased the value of design in the Irish Med Tech sector. 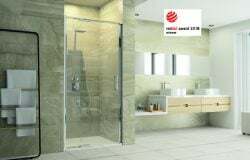 The exhibition, which involved a number of industry partners, travelled the country to industry specific events where design was highlighted as a key driver in the industry. The project was a huge success and we are delighted that we were able to partner with ID2015 on this. We continued our work with the Bioinnovate programme in NUIG, delivering the intensive bootcamp week as well as special sessions on design and innovation. We have also done considerable work in the area of Lean Product Development, where we are Enterprise Ireland sponsored specialists, working with SMEs and Multinationals around the country to implement strong innovation management processes via Lean Product Development. We are also continuing our work mentoring new business startups in a number of locations around the country. 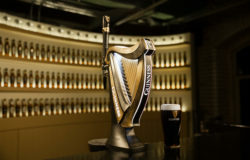 We also featured in a number of documentaries that were filmed as part of the Year of Irish Design. 'Design is...' was a short documentary on what it is to be a designer in Ireland today, featuring our own lovely Mark Murray. The Designing Ireland series looked at design in Ireland from multiple points of view. We were featured in the final documentary, where it focuses on our innovative work with exciting new SMEs and our work in the Medical Device sector. 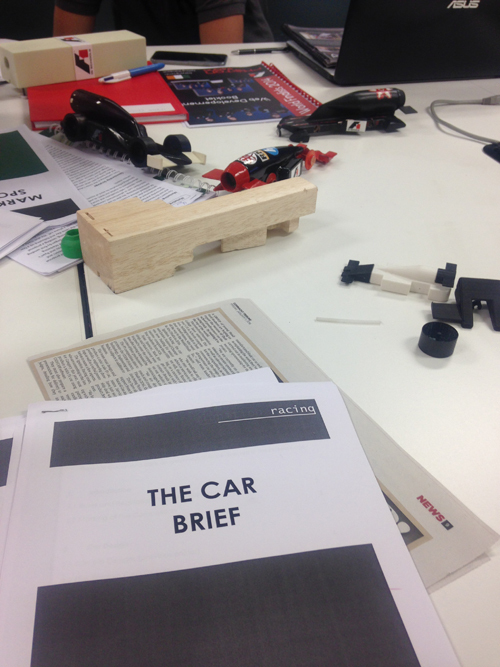 As is the norm in product design consultancy, there are always projects that you can't talk about. However, we can say that there are a number of innovative and market leading products out there on the shelf, saving your life or keeping you secure and connected that have been designed and developed here in our offices. 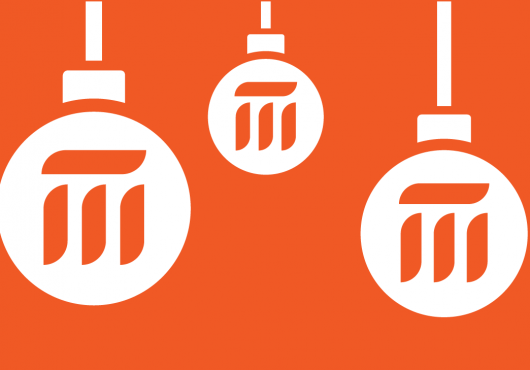 We are very proud of the work of all our team in 2015 and are hugely excited about all the projects lined up for 2016. It promises to be another brilliant year! 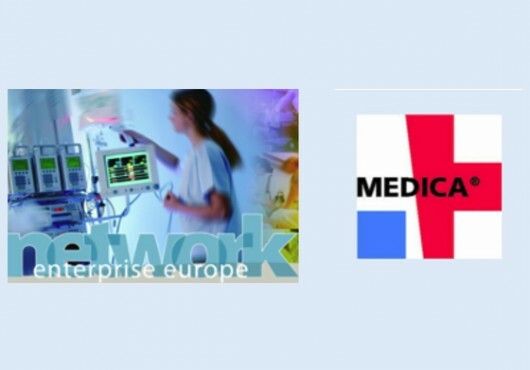 This year we will be attending Medica 2015 as part of the EEN Healthcare Brokerage Event. With lots of meetings already booked it promises to be an interesting few days. Get in touch if you are attending. We would love to see you there! Join us for a unique deep dive Design and Creativity Event on board the LE Aisling. The goal is to create the future by developing solutions to a range of real maritime and other challenges. Lifejackets and creativity are mandatory! More information from Enterprise Ireland HERE. Dolmen mentored company, Hydrasure, won the Animal Health award in the start-up company category at the National Ploughing Championships this year. 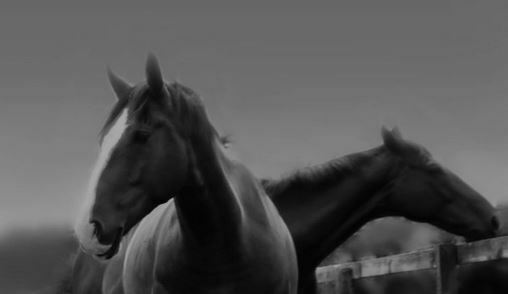 "My background in the equine industry, as well as in biology, and freshwater science, led me to I identify a gap in the market, but I had no training or experience in product development. Sean McNulty (CEO, Dolmen) was assigned to me through my LEO as a product development mentor in the early stages of my project. He has been an invaluable source of advice and support in this area and has gone above and beyond what was required of him as a mentor. Product development can be a long (and at times discouraging) process, and having the right mentor can be integral in ensuring that early stage entrepreneurs persist with their ideas, to maximize their potential. I would thoroughly recommend Sean as a mentor for his knowledge and extensive experience in product development and innovation management, and for his enthusiasm for helping people with good ideas to maximize their potential." Dolmen has collaborated with the Irish Design 2015 team to deliver a snapshot showcase of the Irish Medical Technology sector with a focus on how design is imbued in every aspect of the industry. 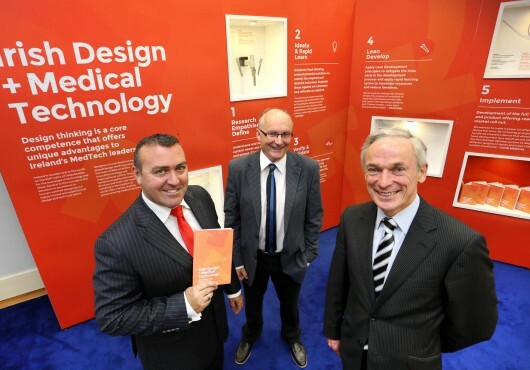 The showcase was launched by Minister Richard Bruton (Jobs, Enterprise and Innovation) with Brian O'Neill, Head of Lifesciences in Enterprise Ireland, at a joint press launch with Med in Ireland. Med in Ireland is Enterprise Ireland's biggest Med Tech event in the calendar, happening on the 29th of October in the Convention Centre in Dublin. Curated, designed and produced by Dolmen. 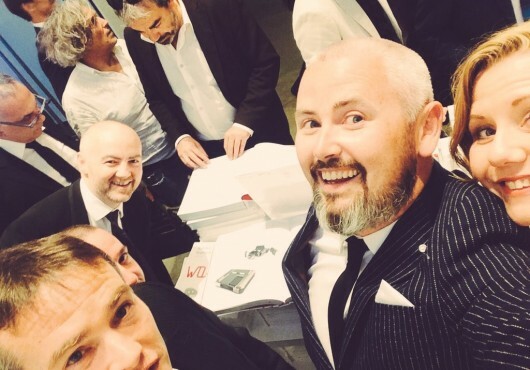 Supported by Irish Design 2015 and Enterprise Ireland. Partnered by Bioinnovate, Cook Medical, Creganna, CÚRAM, Motech, Frontend, NCAD, Novaerus, Vasorum. 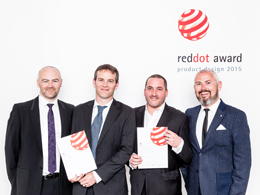 At the end of June 2015 our award winning design team attended the Red Dot 2015 ceremony in Essen, Germany. Along for the ride was the design team from our industry partner Klas Telecom. 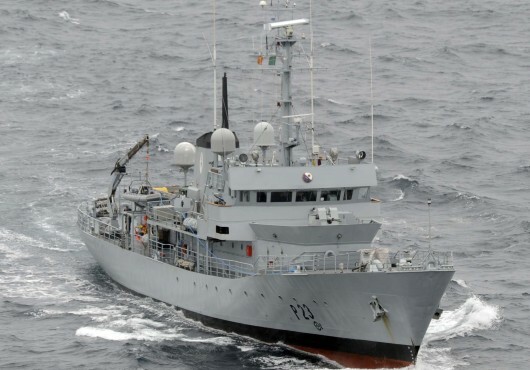 Both teams worked together to develop the VoyagerECK which is currently making waves internationally; with its sleek design and ability to meet end user requirements of portability and excellence-in-service over and above all competitors. 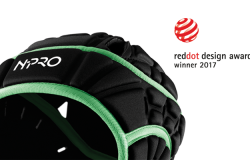 The Red Dot Product Design award was a lovely nod from the design community that proves that great design can and does lead to significant market impact. 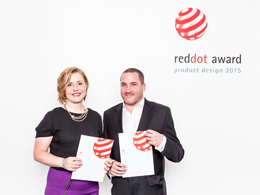 Alongside the VoyagerECK team, we also won a product design award for the Moocall Device. We've been working for some time with the team in Moocall Sensors to develop this revolutionary product that is causing quite a stir in the Agricultural community. The Moocall Sensors team is going from strength to strength with the device being used by over 2500 farmers in over 16 countries. You can see the Moocall device in the London Design Musem as part of the Designs of the Year exhibition. 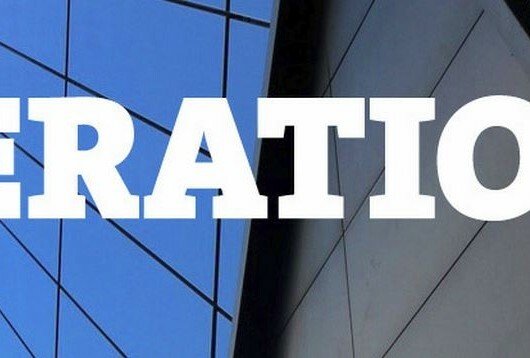 We are delighted to have been included in the inaugural Iterations journal, to be launched next week at the opening of the Faultlines Irish Design Research Conference. Our article, "A design consultancy intervention: how strategic design thinking delivers in practice", discuss how our strategic design thinking process impacts on the bottom line of our business partners. The Journal itself will look beyond industry and into the academic and research areas also. Sean will be giving a short talk on the paper at the Faultlines conference (Friday 5th June, 10am) as part of the 'Industry' strand of the conference. The conference keynote will be delivered by our friend Raymond Turner. It promises to be an interesting few days. 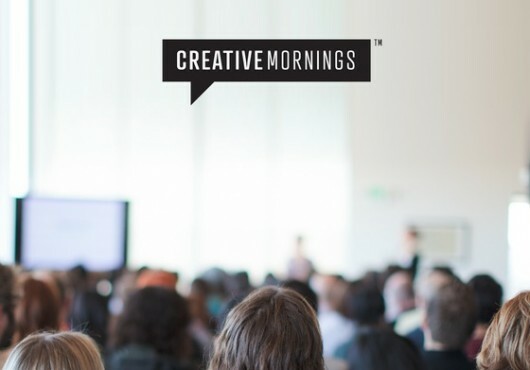 We are delighted that Sean McNulty, our CEO, was invited to be the featured speaker at the Creative Mornings Dublin 2nd Birthday this Friday in the Project Arts Centre. Creative Mornings are monthly talks aimed at inspiring the creative community and this Friday Sean will be talking about the work at Dolmen, how we develop products for our clients and what impact that has for our clients bottom line. Looking forward to seeing you there! More information can be found HERE.